Hartford Electrical Question: What is a GFCI Outlet? We often don’t think of our home electrical system until our lights flicker, our dryer doesn’t start, or our TV won’t turn on. While we are familiar with the standard electrical outlets, homeowners tend to be less familiar with GFCI outlets. In this post, we’d like to explain what they are, so that you can stay informed about your home electrical system. For more information, or to schedule Hartford electrical services, call the experts at Electrical Connection today! In order to understand a GFCI outlet, let’s take a look at the standard outlet. The standard electrical outlet is perhaps referred to as a receptacle, because it receives the conductive plugs of the appliance or device in need of an electric supply. It is comprised of a wire connected to metal screws attached to the back of a plastic interface, with two small slits (one larger than the other) and a round hole at the bottom. A typical 120-volt circuit will have a black “hot” wire, a white “neutral” wire, and a ground wire. Each of these must be attached securely to their respective metal screws. The same goes for the GFCI outlet. But where the GFCI outlet differs is that it is equipped with a sensor that monitors the amount of electrical current that flows from hot to neutral. It is highly sensitive, being able to detect an imbalance up to 4 or 5 milliamps, and react accordingly within 1/30 of a second. If it finds that there is a problem with the electrical current supplying the plugged-in device, it has the capacity to trip the circuit. It has a test button and a reset button in the event that it trips the circuit. A GFCI outlet is critical to the safety of your home, especially considering the various locations within the house that need electricity. It is designed for areas like the bathroom and kitchen, whose mix of electricity and water can present a hazard. 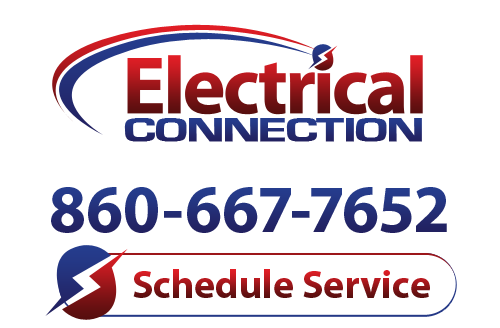 Call Electrical Connection for exceptional Hartford electrical services!